Looking forward to riding the razor! Any major changes to the Wave ? It was pretty good right from the start & the changes over the last couple of years have been minimal. The wave has been an awesome kite from the beginning and the tweaks that have been on the previous models have been minimal because of this mainly on consistency through the range. 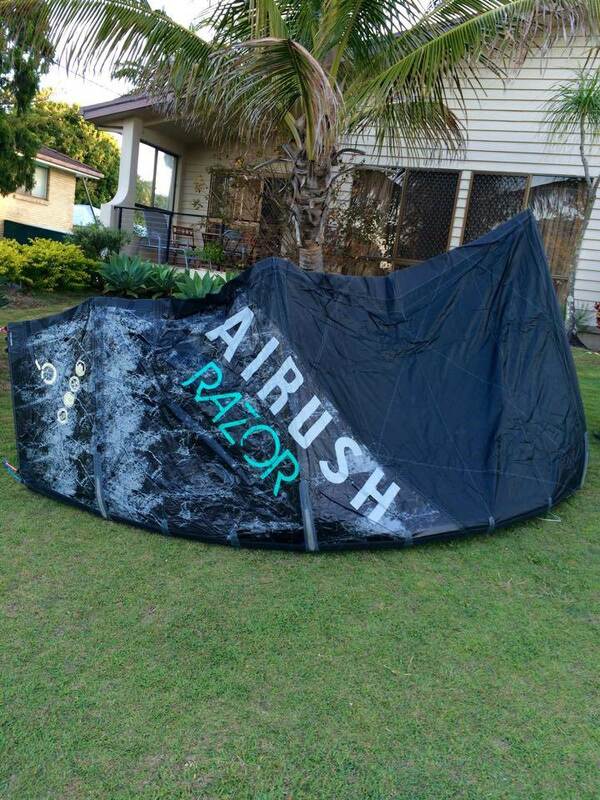 Airush have made a few small changes to the kite for this season aimed to improve the drift stability and gust response with the main change coming in slightly increased LE size. The Wave is available in the Team Black and Reefer colorways this season with the addition of the 8m and 10m so you can get the quiver for your conditions whatever they may be! First ones arrive in the country in the next couple of days soon as we get some wind in WA will get them out and give some more feedback on how the changes go. The new gear looks sweet, the look of the black team series is growing on me! No more 5m kite haha! This season i have a 9m and 11m, not sure if i can change it but the 11mkid just doesn't seem the same. Had my first session on the new razors..
Was on the 11m in lightish winds, very fun kite and the black looks unreal in the sky! If anyone on the Sunshine Coast is interested in checking them out or after a demo PM me. I will post a review after i have tried them in some different conditions.